American satellite and broadcast provider Dish Network has filed a lawsuit against Kodi add-on ZemTV and TVAddons.ag, the largest add-on library. The complaint accuses ZemTV of direct copyright infringement of various TV channels. TVAddons is liable for distributing the addon in question, according to the complaint. More and more people are starting to use Kodi-powered set-top boxes to stream video content to their TVs. While Kodi itself is a neutral platform, third-party add-ons can turn it into the ultimate pirate machine, providing access to movies, TV-shows and IPTV channels. These add-ons are direct competition for traditional broadcast providers, such as Dish Network in the United States, which filed a lawsuit in a Texas federal court late last week. The complaint lists the add-on ZemTV as the prime target. The service in question allows users to watch a variety of Dish channels, without permission. “The ZemTV service is retransmitting these channels over the Internet to end-users that download the ZemTV add-on for the Kodi media player, which is available for download at the websites www.tvaddons.ag and www.tvaddons.org,” Dish’s lawyers write. The TVAddons platform, which hosts hundreds of unofficial Kodi add-ons including ZemTV, is also listed as a defendant. According to Dish, TVAddons plays an important role in the distribution of the infringing add-on. 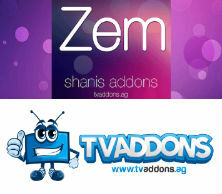 The ZemTV operator, who is only known as “Shani” and “Shani_08,” used the TVAddons platform to share and promote its service while asking for donations, the complaint alleges. “Website Operators have actual or constructive knowledge of this infringing activity and materially contribute to that activity by providing the forum where the ZemTV add-on can be downloaded and soliciting and accepting donations from ZemTV users,” Dish writes. “But for the availability of the ZemTV add-on at www.tvaddons.ag or www.tvaddons.org, most if not all of Developer’s distribution and/or public performance would not occur,” the complaint adds. Dish claims that it sent numerous takedown requests to Internet service providers associated with the ZemTV service, but the developer has continued to offer the add-on, circumventing any countermeasures. With the lawsuit, the broadcast provider holds ZemTV accountable for direct copyright infringement, demanding $150,000 per infringement in damages. TVAddons is accused of contributory and vicarious copyright infringement and also faces statutory damages. TorrentFreak spoke to a representative from TVAddons, who wasn’t aware of the lawsuit. Dish has not contacted them directly with any takedown requests, he says. “This is the first we’ve heard of this lawsuit. No one ever sent us any type of takedown or DMCA notice or even tried to contact us prior, they could have easily done so through our contact page or site emails,” TVAddons informs us. TVAddons says that the ZemTV add-on was already removed prior to the lawsuit due to a technical issue, and it won’t return. “The Zem addon was actually removed from our addon library and community tools weeks ago due to a completely unrelated technical issue. I have already spoken to the developer, and he has since deleted the Zem addon entirely,” the TVAddons representative says. Also, shortly after we started to inquire about the lawsuit, the ZemTV add-on appears to have shut down completely. Developer “Shani” says it became too popular to maintain, but the legal threat likely played a role as well. The lawsuit against ZemTV and TVAddons is the first of its kind in the United States. As such, it will be closely watched by other rightsholders, add-on developers, and platforms similar to TVAddons that distribute software. The full complaint Dish Network filed is available here (pdf).